Okay ladies and gentlemen! NOW is the time! If you do not already have Amazon Prime, you NEED to take advantage of this offer! 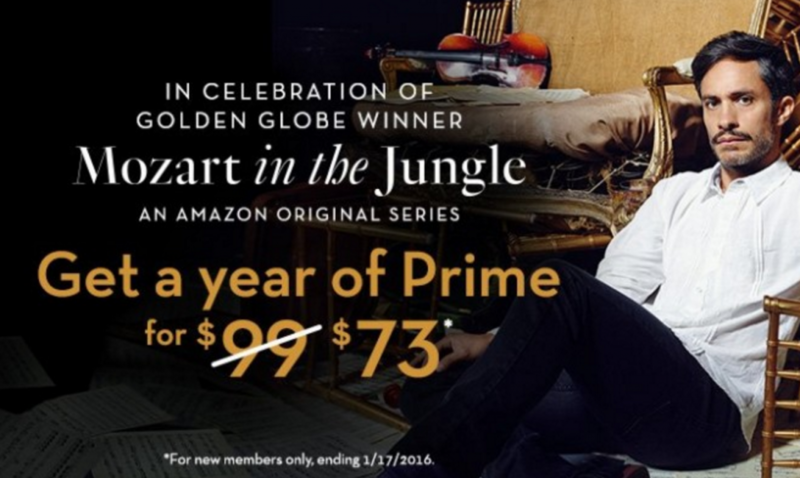 You can get Amazon Prime for just $73 — through Sunday only. This is for new members only (unfortunately, as I would totally extend mine with the deal!!). There are so many incredible benefits with Amazon Prime, the free 2-day shipping, Amazon Music, Amazon Instant Video AND they just added 20% off all new video games!! Get your Amazon Prime now!